One of God’s greatest gifts. As grandparents, we are part parent, part caretaker, and part friend. That places us in a very special place in our grandchildren’s lives. Personally, as farming grandparents, we feel a responsibility and a duty to teach them about farming and where their food comes from. We are PROUD and honored to can share our farming experiences, especially on this National AgDay. We are fortunate that our grandchildren live fairly close to us and can visit us often. They come with us when we go to the hog barns, in the tractors during spring planting, in the combine during corn and soybean harvest, and when we work in the garden. They love to explore, ask questions, help in the garden, play outdoors, ride their bikes, play with the dog, and help grandma and grandpa doing whatever they are doing. It is sad to say the majority of people are not as fortunate as our grandchildren in having this direct connection to farming. And because of that lack of connection, misinformation and untruths about agriculture can easily make way into peoples’ opinions and decisions in regards to food and farming practices. We can start that change by talking to not only consumers, but our families such as our children and grandchildren. 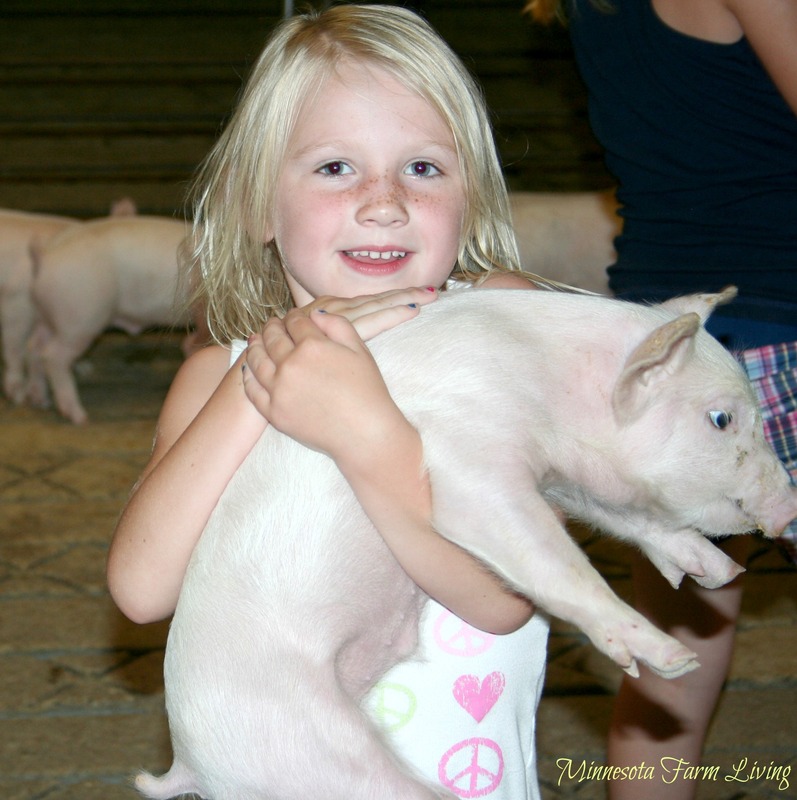 We can teach them about farming by showing them where their food comes from. And the great thing about talking to our grandchildren is the message is more intimate because we have that special grandparent-grandchild bond. And even though it may seem we are only teaching our children and grandchildren, we may be indirectly teaching non-farming people also because we do not know how many people our children or grandchildren will come into contact during their life. We just don’t know who our grandchildren will be when they grow up. We are planting a seed. Our children and grandchildren observe the hard work, the compassion, and dedication to what God has chosen us as His caretakers. 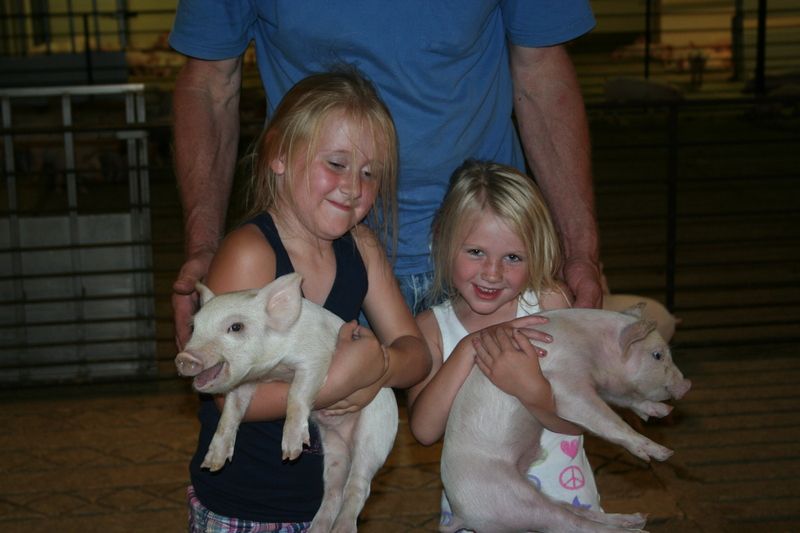 They will experience the joy and exhilaration of daily farm life. But, sometimes, they will also experience the sorrow when an animal dies, or the . . .
agony of a drought with no rain in sight, or the . . .
devastation of a hail storm has on a field of crops. And they will learn the realities of our farming life. There really is no other experience in life like this. Even with the highs and the lows of farming, providing food for other families is a very powerful, satisfying and humbling experience mixed awkwardly together. What do I hope farming will be like when they grow up? I hope that we are able to use our God-given intelligence to make smart decisions as to what is best for our farms, ourselves and others. I hope technology, science and our knowledge base continues to grow and improve and we are able to apply what we have learned. I also hope we continue to show our passion and compassion for farming. And most of all, I hope that ALL families do not experience food insecurity and are freely given food choices. So let’s celebrate National Ag Day by talking to our children and grandchildren about one of the most honorable professions in the world. And let’s show them how PROUD and HONORED we are to be America’s farmers! Thank you for sharing..My Grandparents moved from the farm as teenagers…My Mom never knew the farm as home and I married into a farm…I love your perspective about starting with our own families!! I will add nieces and nephews and my sisters and my cousins to the list of people I can share my AG Life. Thank you for sharing. I also married into a farm. I never grew up on a farm but am so glad I did. Your grandchildren are beautiful. It is wonderful that you can share nature and farming with them. While I grew up on a farm sharing that with my granddaughter is more difficult when you live in the city — especially in Southern California! I have taken her to one of the local farms for a tour and we had a blast — plus she helps both me and her Mom to grow a few tomatoes and peppers. Dirt is so good for kids! Pretty good for grown-ups, too! Just stopping by from the GRAND Social Linky Party. Thanks for sharing! It’s great that you took your granddaughter on a farm tour. We need to teach our children/grandchildren where their food comes from! And, yes, dirt is good for kids! What a grand post! I don’t live on a farm, but I do live 1/2 mile from a cow farm and we enjoy talking about that as we drive by, as well as learning about farms periodically as we do their homework. Thanks for another great resource. I bet those beautiful granddaughters love everything about the farm. I grew up in the country where everyone grew their own vegetables. We kept chickens and cows too. I learned so much. You’re right, we do need to find ways to make sure our kids connect food with where it comes from. Such precious children. Miss E is truly adorable. I’m originally from Minnesota (left when 10), so reading about farming and combines and more makes me smile. Our farm (80 acres) was more of an “experiment” for my dad and mom. Didn’t go over so well, and we headed to the mountains of Colorado. But I have many memories of raising chickens, soy bean fields, combines and tractors and more… oh my! Thank you so much for joining the GRAND Social! A wonderful post you’ve shared.